EMAIL LEN: Len@CableShade.com Check out our customer reviews! 7-C's -- Carefully Crafted, Customized, Colorful, Creative, Canopies on Cables! 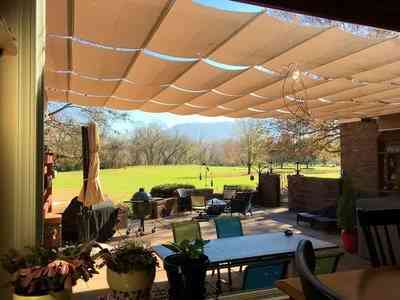 Add CableShade retractable canopies to your backyard patio or deck. 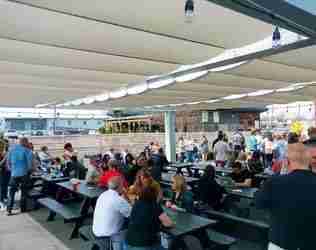 CableShade retractable canopies are perfect for outdoor restaurant settings, hotels, or any other large commercial project. 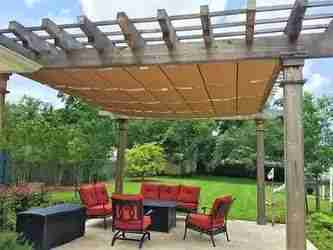 Easily add our CableShade retractable shades to your existing pergola. Most questions regarding our CableShade retractable canopies are answered on this website. We are more than happy to email you additional information or answer specific questions. Please use the form below. To keep overhead costs low and pass those savings onto our customers, catalogs and promotional materials are not available. It may help to have a measuring tape on hand and either to use a cordless phone or a cell phone for the consultation. Please include your name, email, phone, and the specific question you have. You will receive a confirmation after submitting the form. CableShade will respond as quickly as possible.